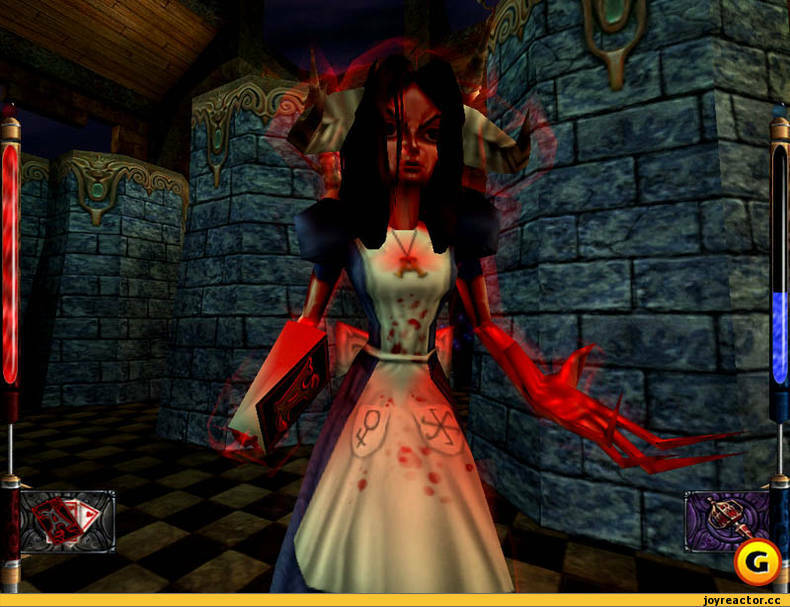 I had to use my six-year-old computer to run American McGee’s Alice, which I don’t mind at all. In fact, that computer works very well! And thanks to fellow author Joshua Robertson’s excellent advice for what software to use to record my gaming (Dxtory for screen recording and Audacity for voice recording), the hard part was done. And then there was Windows Movie Maker. Alice and I were quite mad. Editing the footage should be the easiest part. Well, it is on a Mac with iMovie, and it appeared to be similar on Movie Maker. Not so! Granted, I’m probably working with a buggy, outdated version, but the problem I had made no sense. I couldn’t put my cursor anywhere but the beginning of the footage or else the audio would jump to an earlier section of the movie. Which means I couldn’t split or edit the audio either because it gave me the same issue. Um…weird. There is no excuse! So after lots of messing around to try to work with it on my Mac among other attempts to fix the issue, I’m videoless. Well! Not a happy Christie. I think I’ve found a workaround, so I’m going to try it out this week and update you on my progress. If all goes as planned (which obviously it hasn’t so far) I’ll have the video ready for June 25. I plan on recording a quick video midweek to let you know whether I’ll be able to make this work or not. It must! I’m determined. This entry was posted in Something Else, YouTube and tagged american mcgee's alice, american mcgee's alice coming soon, american mcgee's alice lets play, american mcgee's alice playthrough, frustrating tech issues, gaming rant, still to come, tech issues, windows movie maker problems. ← Gaming and Chat This Weekend!